If you like to get the most bang for your buck, the S40 will impress you with its style, content and price. Long known for its emphasis on safety, Volvo carries on the tradition with side-impact and side-curtain airbags, the Whiplash Protection System and other safety features. Love my Volvo! I love how dependable it has been for me the past 8 years. This is the best, most reliable car I have owned. It is 10 years old and I am not even considering trading it in. I follow the book on maintenance schedules and suggested fluids, etc. I have a very bad neck and back and many cars are impossible for me to drive because the seats are so uncomfortable. I am also a petite person so that adds to the problem of finding a drivers seat that does not cause me migraine headaches. 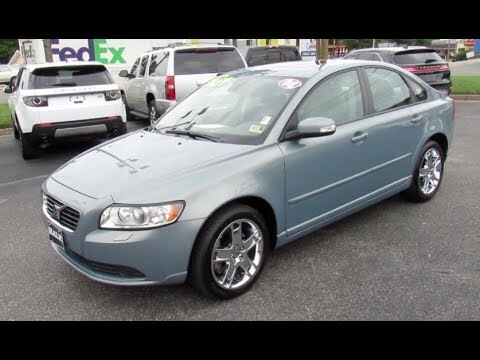 My Volvo s40 is easy for me to adjust the driver's seat so that I have no neck or back pain when I am driving. That means more to me than anything. I will admit that it is suggested to use the highest grade of gasoline in the car and I do this. I do not mind paying the extra money to keep my car working well. Yes, parts cost a little more, I do not buy them at fleet farm, and my mechanic only works on foreign German cars, and my Volvo. In the 8 years I have owned this car it has only been in to the shop for “normal” visits such as oil changes, brakes and tires. I love my Volvo! Sporty, good-handling, efficient sedan with an amazing sound system! I have had to keep up with regular maintenance, just as you should any vehicle. The biggest problem I've had out of it all relates to the air conditioning system only partially cooling or not at all. I've had it repaired once already, and then again this summer it's acting up the same way. The car performs pretty well, and hugs every single turn on the road. It's been a very reliable little car while being very aesthetically pleasing. It has a sunroof which is awesome come fall or spring. The best part is the Bose sound system in the car making it sound as if subwoofers have been installed. My car is an overall decent vehicle and serves its purpose. The main thing I like about my car is the size. I'm a small person (5'1" and petite), and it's a great sized sedan for me to easily handle. My major complaint, however, is that I've had several very expensive repairs in the past few years. Volvos are very expensive to fix, and that's definitely a consideration for future vehicle purchases.